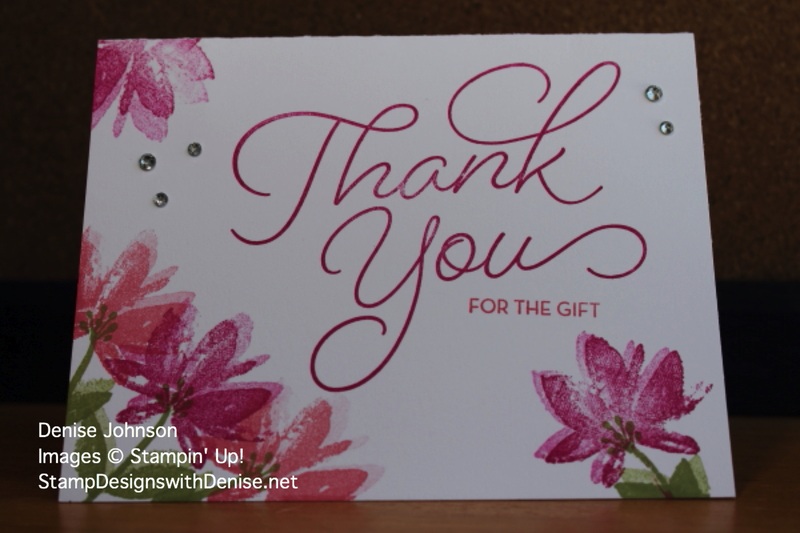 This card uses two different stamp sets from the 2017 Sale-a-bration catalog. The flowers are stamped off a second time to give the shadow look you see here. 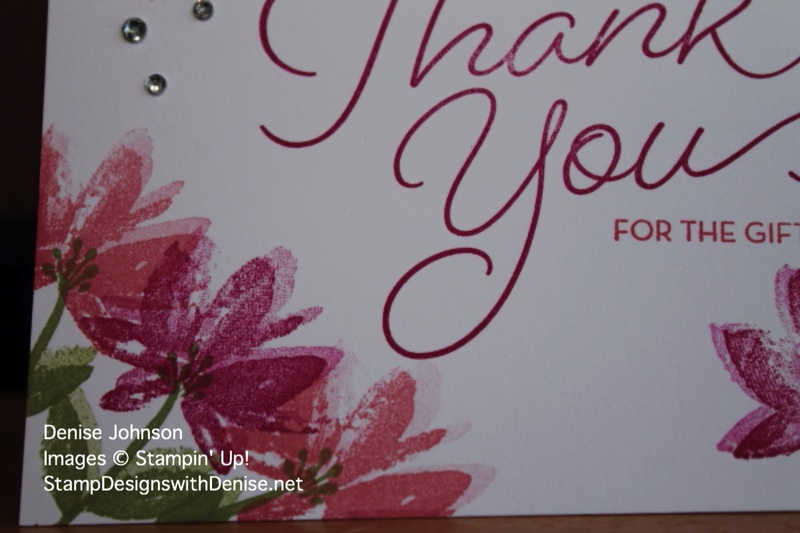 For the flowers and leaves, I stamped the image once, then stamped off slightly off center to create the shadow look you see on the card.